The Maori War Effort Organisation was formed during the Second World War to assist with recruitment for the forces and war-related service. Many Maori had volunteered for the Second New Zealand Expeditionary Force on the outbreak of war, but in October 1939 the government agreed to form an all-Maori infantry battalion. Organised on a tribal basis in four companies, the 28th (Maori) Battalion departed overseas on 2 May 1940. The Maori Battalion was soon to gain a reputation for its fighting spirit, and several of its commanders including Charles Bennett, Arapeta Awatere and James Henare further developed leadership roles in peacetime. Conscription, however, was not enforced on Maori and low enlistment from some districts, especially those affected by confiscations following the New Zealand wars, caused official concern. 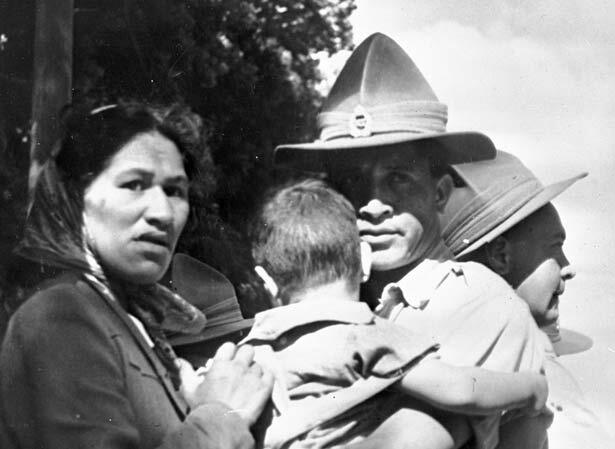 In addition, identifying Maori eligible for war-related service was difficult because there were no Maori electoral rolls, and registration for social security purposes covered only a quarter of the estimated Maori workforce. We have 2 biographies, 4 articles, related to Māori War Effort Organisation.